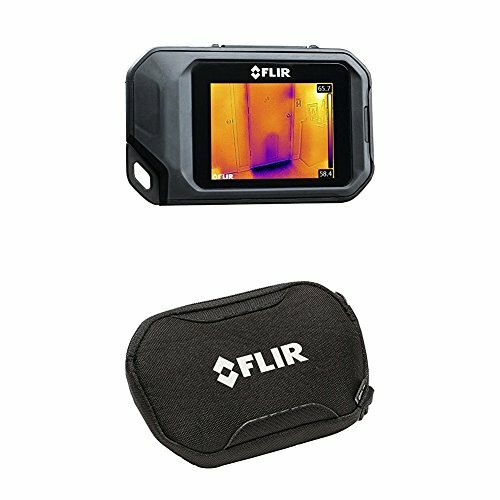 FLIR C2 Compact Thermal Imaging System with CX Series Pouch Case by FLIRC at In The National Interest. Hurry! Limited time offer. Offer valid only while supplies last. Its lightweight and slim profile fits into any work pocket , Operating Temperature Range-10°C to 50°C (14 to 122°F) , Storage Temperature Range -40°C to 70°C (-40 to 158°F). View More In Temperature & Humidity. If you have any questions about this product by FLIRC, contact us by completing and submitting the form below. If you are looking for a specif part number, please include it with your message.